G ood old ‘heathy competition’ has been the modus operandi for many on the traditional (and even expected) path to success. 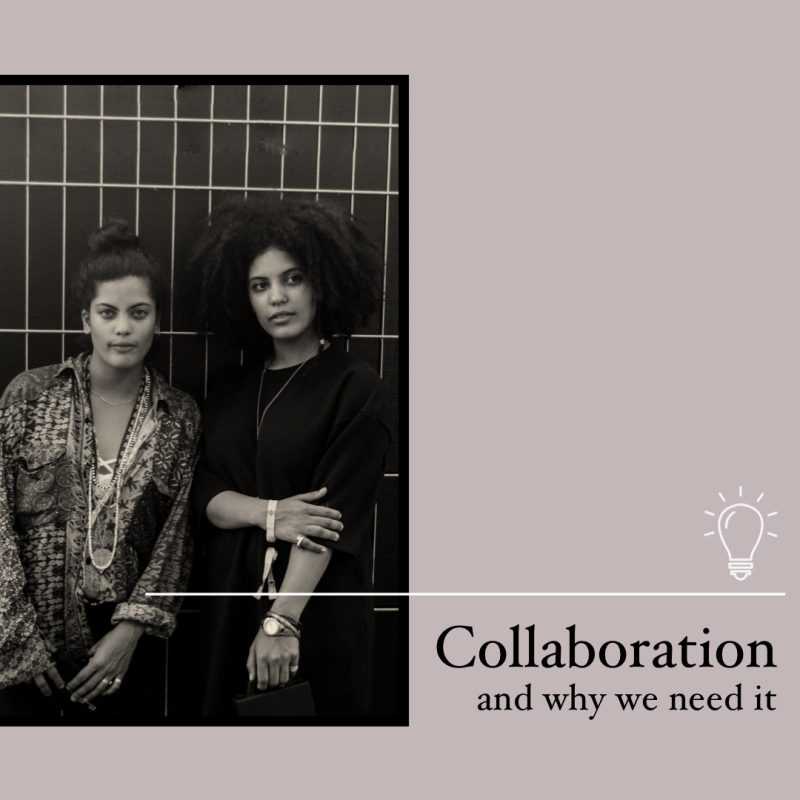 In an ever evolving ‘sharing’ economy, the idea of collaboration becomes the rule, not the exception. But really, it’s like going back to basics- right? You’ve heard it before: “two heads are better than one”. It’s an age old adage that sums up, in a nutshell the idea that effective problem solving starts with combining resources, talent, and experience. Collaborating diversifies the perspective on a project giving you not only a wider net to cast, but facilitates learning. Learning leads to a growth in opportunities and pushes you to extend beyond your comfort zone and into stretching boundaries. You’ll be introducing each other to ideas and concepts you would not have come across otherwise. Welcome, innovation. When cooperation is prioritized, you’re forced to articulate your ideas. This can be challenging because this process also reveals the strengths and weaknesses of those involved. Being forced, however, to identify these things helps you crystalize exactly what you bring to the table- which is a great personal takeaway. No man is an island, if we hope to leverage our own gifts and talents to affect a change in society it going to require teamwork. Have you ever noticed how companies like to stress the importance of teamwork? Its function is a critical component towards success and one could further argue, sustainability. The mission of The Makers Mart is to connect artists and creative entrepreneurs to resources, guidance, and to help facilitate collaboration with a economical community benefit as an end goal. We don’t have a shortage on talent, but a shortage on opportunities. Using our individual talents to operate as a collective we can create these opportunities for ourself. We have programs in development to leverage this idea, but what are your thoughts? What kind of programs and events do you think is needed in the community?